I was surprised at what I found of the extent of conflict of interest between the sponsors of the UN Climate Conference, the French State and the UNFCCC secretariat. On Thursday evening I left the UN climate conference at the Le Bourget centre straight after the Fossil of the Day ceremony at 6pm to attend the Pinocchio awards which examines and compares the greenwashed credentials of major corporations. These awards are run by Amis de la Terre (Friends of the Earth) to highlight corporate mal-practices. 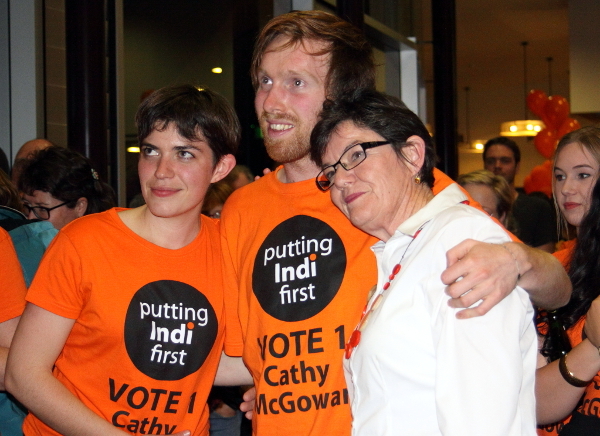 The three categories being judged were local impacts, lobbying and greenwashing. It was a full house, and even arriving a little late, it was a very entertaining show and spotlight on the worst practices of corporations with regard to the climate change issue. The winners were: Chevron, EDF (a French electricity company) and BNP Paribas (French bank heavily into coal and fossil fuel resource financing – see Banktrack), but there was some pretty stiff corporate competition. The Australian votes for Engie, who own the Hazelwood coal mine and power station, just wasn’t enough to earn them a Pinocchio. Some of the companies featured at the Pinocchio Awards, along with others, are prominent in sponsoring the UN climate conference. After you enter the UN Blue Zone a large sign shows all the COP21 corporate sponsors. Some of these companies are major carbon polluters. Tim McDonnell in Mother Jones has reported on this close association between polluters and negotiators in the article The Fossil Fuel Industry Is Bankrolling the Paris Climate Talks. 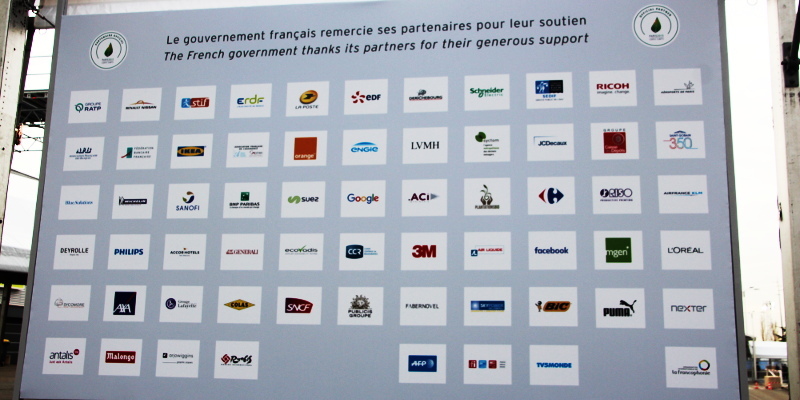 Attac France even acquired a list of the sponsors with details of their contributions. Read more (in french) from Maxime Coombes on Sponsors de la COP 21 – qui a donné quoi?. Surprisingly, only one bank, BNP Paribas, became a sponsor of the Climate Conference. That bank has major investments in coal and fossil fuels (It received a Pinocchio award). BNP Paribas alone accounts for half of the total support – now totalling more than 30 billion euros – provided by French banks to the coal industry between 2005 and April 2014, according to the 2014 Banktrack report. Unfortunately, the sponsorship by major carbon polluting companies reflects badly on the much positive work of the UNFCCC secretariat and the host Government. It highlights a large conflict of interest that needs to be tackled at the highest levels. Transparency by the UNFCCC was promised, but has fallen short. It would be like allowing tobacco companies to sponsor and promote their products at a major health conference on the causes of emphysema. Many civil society groups like Corporate Accountability International highlight the cosy arrangements between the UNFCCC, the French State and corporate sponsors. I covered one small protest in the Climate Generations area that called for Big Polluters to be kicked out of COP. 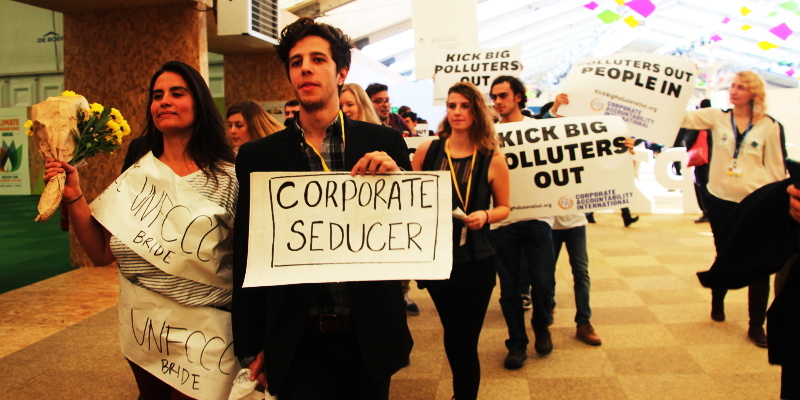 On Friday Activists queued up to enter the Solutions21 exhibition at Le Grande Palais, part of the marketing and greenwash rebranding by large corporations as a business side-event to the UN Climate Conference. Once inside, activists ran a number of simultaneous tours around the exhibits allowing members of frontline communities to speak out and question the greenwashed solutions being presented by the corporations present. 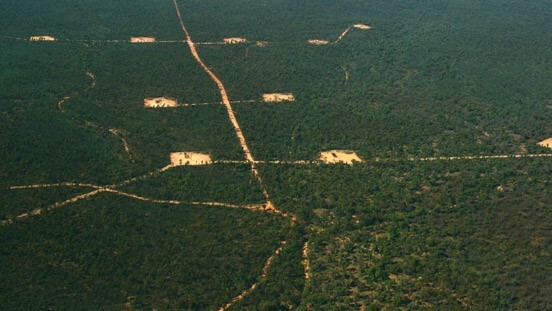 Activists brought messages from far corners of the planet of the impact of these solutions and what these corporations were doing to local communities, whether it be fracking destroying indigenous and farming communities in North America or a coal mine fire choking people to death in Australia. One of the corporations, Engie (formerly GDF Suez), is part owned by the French state. 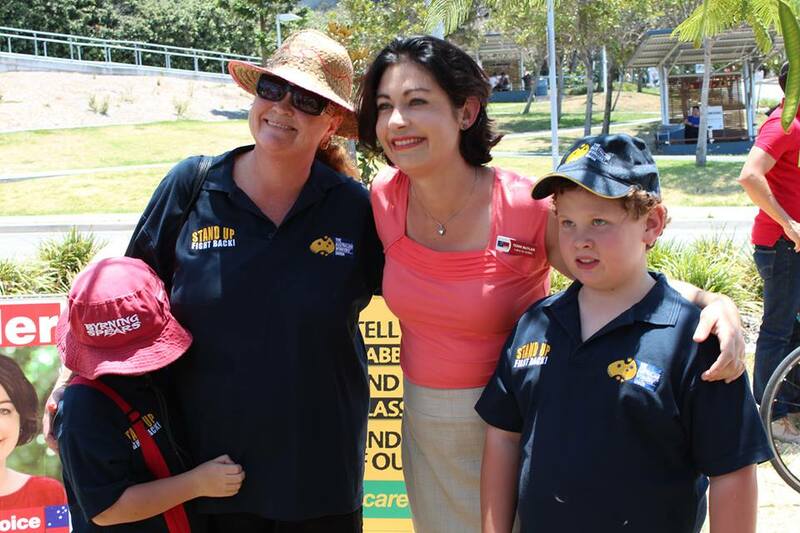 In October Hazelwood owner Engie announced it would stop new coal investment, but nothing was said about the damage and deaths inflicted upon the Morwell community by the toxic smoke from the 45 day minefire. Engie is refusing to pay an $18 million bill from the Country Fire Authority for the tough and dangerous job of putting out the minefire, a situation exacerbated by Engie’s negligence for many years of onsite fire fighting equipment. It is suggested Engie may try to sell the Hazelwood power station and mine to try and avoid liability and responsibility for mine rehabilitation which is estimated may run into hundreds of million dollars. At the Grande Palais, protestors and media were ejected by police from the exhibition, according to a New Internationalist report (Undercover police crack down on freedom of speech in Paris). The corporate message has also come under attack by hacktivist artists under the label Brandalism, reminiscent of the Australian BUGAUP campaign on altering public tobacco ads to a more truthful message. Hundreds of billboards and signs were updated to tell the polluting truth of COP21 sponsors. 82 artists conributed to the fake poster designs, with 600 posters printed and put up in JCDecaux advertising boxes. “We are taking their spaces back because we want to challenge the role advertising plays in promoting unsustainable consumerism. Because the advertising industry force feeds our desires for products created from fossil fuels, they are intimately connected to causing climate change. “As is the case with the Climate talks and their corporate sponsored events, outdoor advertising ensures that those with the most amount of money are able to ensure that their voices get heard above all else.” concluded Elan.